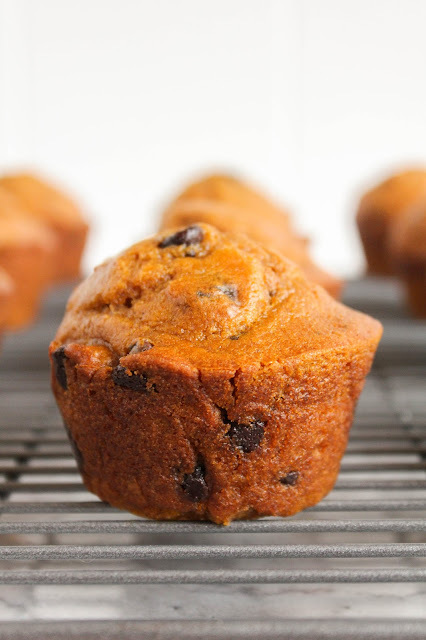 Celebrate Fall by whipping up a batch of these tender and delicious pumpkin muffins studded with chocolate chips! It finally really and truly feels like Fall here in Michigan. The mornings have been quite chilly, in the 40's, and the afternoons have been in the mid 60's or so. Thankfully the sun has been shining brightly, and the leaves are starting to turn beautiful colors! This type of weather is perfect for walks outside, bonfires, and of course, football! It's also perfect for baking. No one is ready to turn the heat on yet, (come on, October just started!) so I like to warm up my house with the heat from the oven. 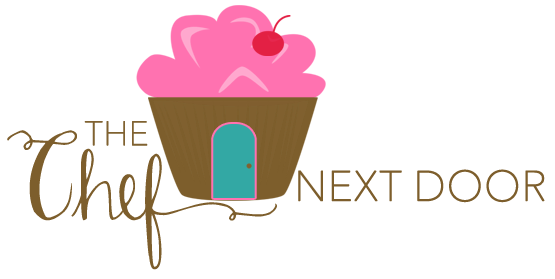 Whether I'm baking a casserole, a breakfast bake, or a dessert, I love the warmth and wonderful smells that come from my kitchen this time of year. And pumpkin just happens to be one of my all time favorite scents! These pumpkin chocolate chip muffins are very simple to make and don't require a mixer. 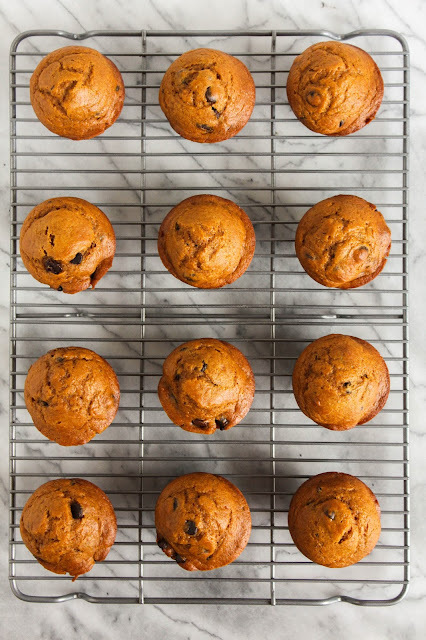 Just two bowls, a good strong arm, and you're on your way to having delicious, hot muffins on your table in no time. They're perfect for breakfast with a cup of coffee, great for an afternoon snack, and delicious as a small bite for dessert. But trust me, whenever you decide to eat them will be a good time! Preheat the oven to 375 degrees. Lightly coat a muffin tin with non-stick cooking spray and set aside. In a medium bowl, add all of the dry ingredients, flour through salt, and whisk until well combined. In a large bowl, add the pumpkin, milk, brown sugar, oil and egg and whisk well until blended and smooth. Add the dry ingredients to the wet and mix well until no lumps remain. Fold in the chocolate chips. Spoon the batter into the prepared muffin cups, filling each about 2/3 full. Bake for 25 minutes, or until the muffins spring back when lightly touched. 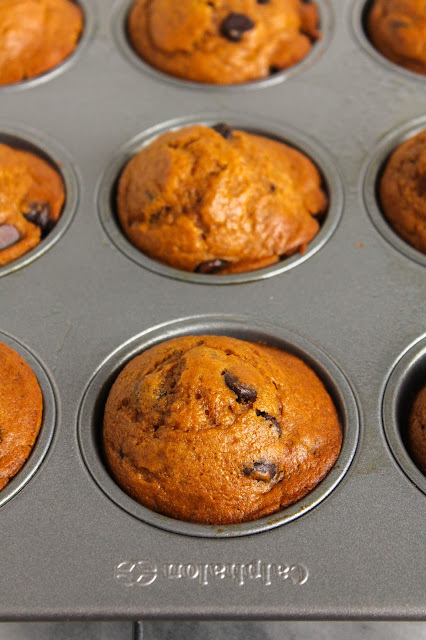 Let the muffins rest in the pan for 5 minutes, then remove them and allow to cool on a wire rack. Store muffins in an airtight container.